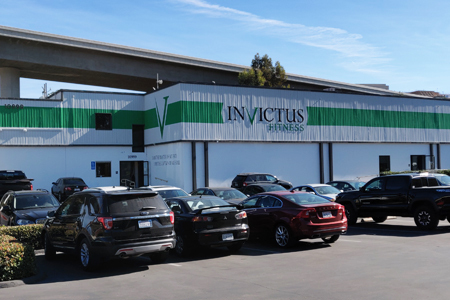 This new 12,000 square-foot facility, opened in October 2016, is conveniently located just off the I-805 and I-5 freeways. Invictus Fitness Sorrento Valley serves North County San Diego, and offers a variety of training options to meet your fitness needs including: classes and private training for beginners, desk jockeys, competitive CrossFit athletes as well as a separate session and programming for Masters-level CrossFitters, an offering that is very unique. You will love our community and team of staff who are there to support you in reaching your goals in a safe and fun environment. Many of our members at this facility use their time at the gym as a break and stress relief from their hectic jobs, some bring their kids to watch and play while they get their workouts on, others are retired and are intent on making sure to stay active to be able to enjoy their golden years, and some are preparing for local and national competitions in CrossFit and other sports like Triathlons. This facility is one of the nicest training facilities you have ever seen – it’s known for being exceptionally clean, has top of the line equipment, four separate training rooms, and full-service locker rooms, so locals and commuters alike can get their workout on then get to work or on with their days. View the Sorrento Valley class schedule.